So I've just installed enpass as I've had enough of lastpass's terrible everythingness. However, the UI isn't working quite right on my system - I generally have a very dark 'inverted' UI, and so I have some how got white text on a almost white background. 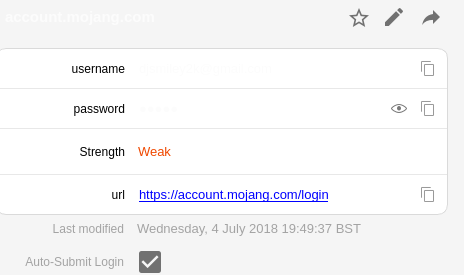 The password is obviously hidden, but the title and the username arent' visible! The dark theme is not supported in the current version of Enpass. However, it'll be available in the next major update Enpass 6. Thanks for the amazing quick reply!.